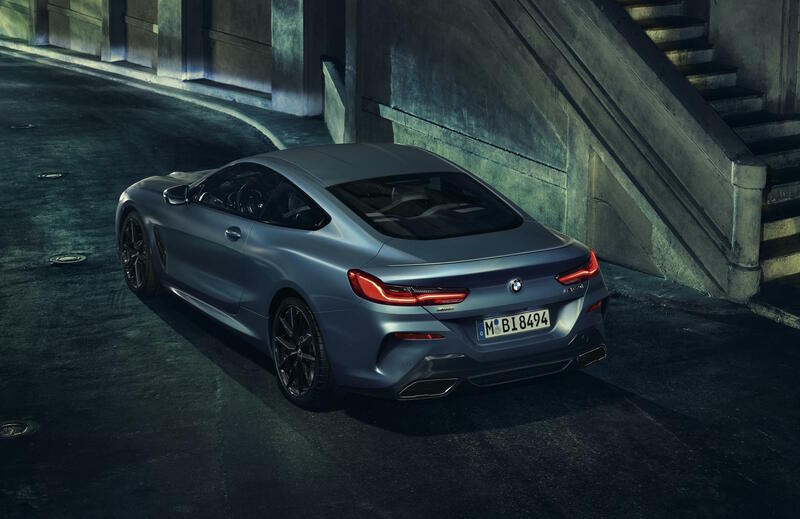 To celebrate the arrival of the all-new BMW 8 Series, BMW has announced a special edition of the M850i coupe called the First Edition. Production is strictly limited. 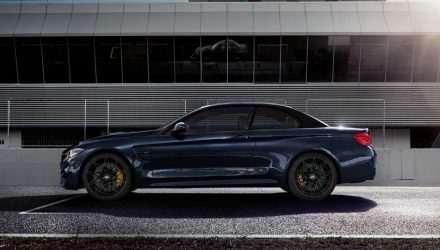 Just 400 examples of the First Edition are going into production, based on the flagship (for now) M850i xDrive coupe. 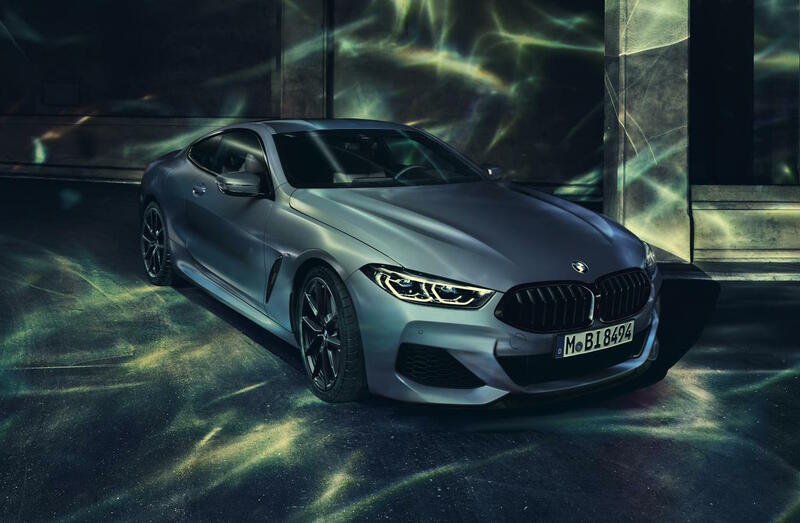 BMW will complement the 8 Series range further down the track with the launch of the M8 performance coupe, which is expected to be revealed later this year. For the M850i First Edition, the exterior is coated in a special BMW Individual paint finish called Frozen Barcelona Blue metallic. This is the first time the colour makes its way onto a BMW production car. 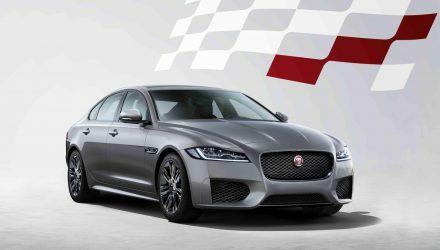 It’s paired with the BMW Individual High Gloss Shadow Line trim, which includes black window surrounds and front kidney grilles. Matching the Shadow Line trimmings are a set of 20-inch M light alloy wheels featuring a Y-spoke design, finished in jet black. 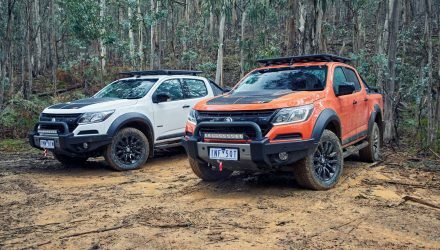 Buyers can also option for an M carbon fibre roof and M carbon fibre aero kit package to help amplify the darkened theme. 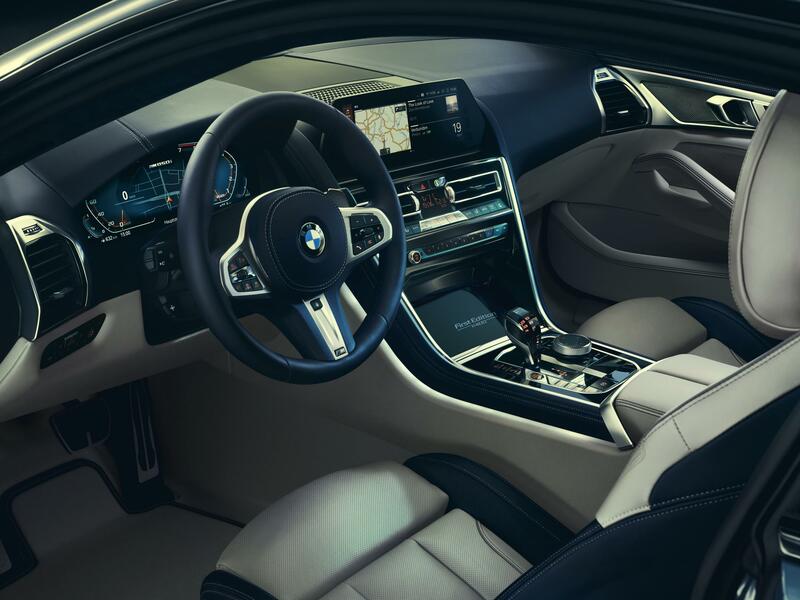 Taking a look inside, there’s BMW Individual Merino leather in Ivory White and Night Blue, with an M steering wheel for the driver and BMW Individual Alcantara roof lining. Some special build plaques are on display on the centre console with “First Edition 1/400” lettering. 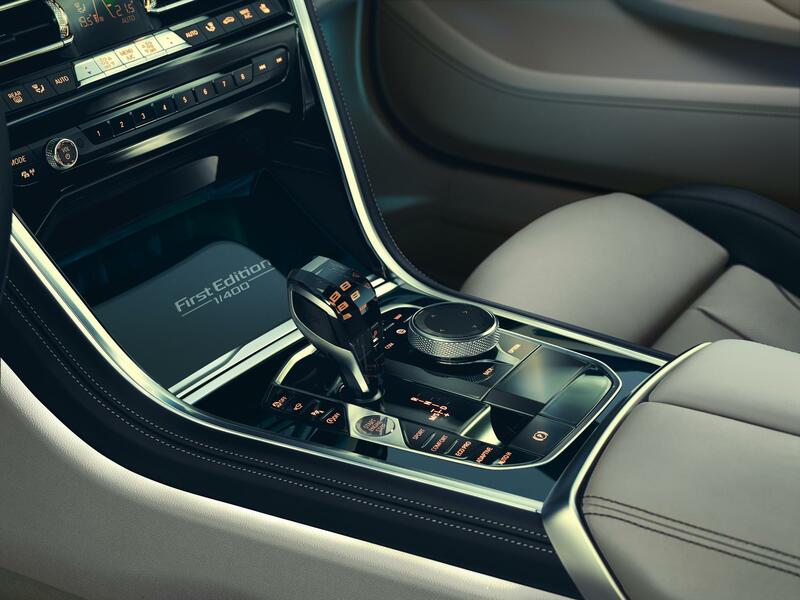 Lastly, passengers listen to a Bowers & Wilkins Diamond Surround Sound audio system, while Crafted Clarity glass is used for the start/stop button, iDrive controller, gear shifter and volume knob for that extra touch of class. 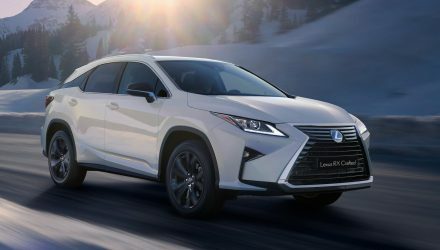 Production will commence in April and finish off in June, making it strictly a limited edition model only. However, buyers could potentially specify their future 8 Series order and option for many of these features individually.